This round's topic is.... Subs vs. Dubs! 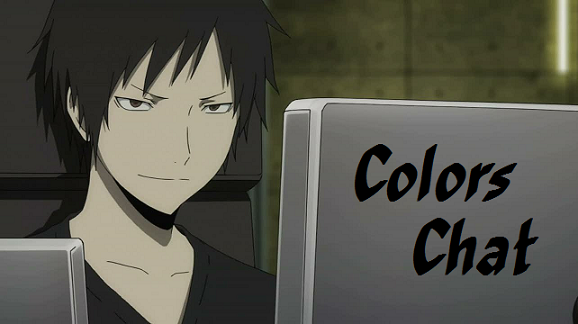 Do you like to watch your anime subtitled or dubbed into your language? Maybe it depends on the situation? Are there certain kinds of dubs you like or can't stand? Is there a series you really wish had a dub? Please keep all comments civil and polite. You might disagree with someone, but please do not start a flame war. THANK YOU and have fun! This round closes November 18th. Colors Chat #75 Extension + BONUS! 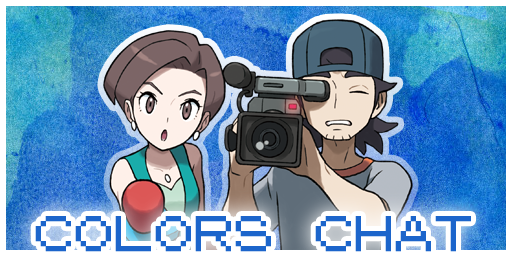 I'm off to a conference for the week, so the current round of Colors Chat has been extended until July 29th! This round's topic is.... Games You Wish Existed!! E3 is right around the corner, so tell us what you'd like to see get announced! Is there a animanga franchise you wish had a video game? A sequel to a game you love that you know will probably never happen, but you can dream? Maybe you just want a virtual console release of an old favorite? What kind of game do you wish existed? Please keep all comments civil and polite. You might disagree with someone, but please do not start a flame war. THANK YOU and have fun! This round closes June 24th! This round's topic is.... Mobile Games! What mobile games have you been playing lately? If you don't have the right phone for it or just don't play them, what games have you noticed around that you'd be tempted to try? Maybe there's an anime/manga/etc you wish had a mobile game? Maybe there's a game you wish would come out in your region already? Please keep all comments civil and polite. You might disagree with someone, but please do not start a flame war. THANK YOU and have fun! This round closes June 10th! This round's topic is.... Spring anime season! What show(s) are you keeping up with this season? If you're not currently watching any of the Spring lineup, what looks interesting to eventually get around to seeing? Maybe you're one of the lucky people who got to see one of the flurry of anime films that have had limited screenings around the world this year? Or, if you're really stumped, tell us some shows you've enjoyed in the past and ask your fellow TCG players to recommend something from this season to you! Please keep all comments civil and polite. You might disagree with someone, but please do not start a flame war. THANK YOU and have fun! This round closes April 29th! Because I'm starting to get out of new ideas for Colors Chat, I'm putting this game on a small hiatus. I'm terribly sorry about any inconveniences this might cause. Collections and collecting as a hobby! What are your thoughts of collecting things in general? Is there something you're collecting? Like stamps, manga, games, anime merchandise, etc. etc? What kind of things did you collect when you were younger? Do you still have some of the collections from that time? Note! Colors Chat is part of the Double rewards experiment so you'll get some additional cards when you answer! Music videos! These can be either music videos from artists and/or bands or edited music videos from animes, games and such. Do you have a favourite videos? Do you edit your own videos? What kind of things do you think are important for a good video? Languages! What is your native language? Does your home country have only one or several different languages? What is your opinion of languages in general? Do you or would you like to study languages you don't know? Do you read books or watch movies with a different languages? Spring! What are your favourite and least favourite things in Spring? Do you have some traditions you use to repeat every year (like cleaning the whole house, taking a long walks, etc)? What are the most noticeable things of Spring in your country? Sleeping habits! What kind of sleeping habits do you have? Are you a "night owl" who can stay up very late and sleep as long as possible or do you like to go to sleep very early and wake up early as well? Does your sleeping schelude crash during holidays? Do you see dreams? Do you remember them when you wake up? Do you like sleeping in general or do you think it "takes too much time"?